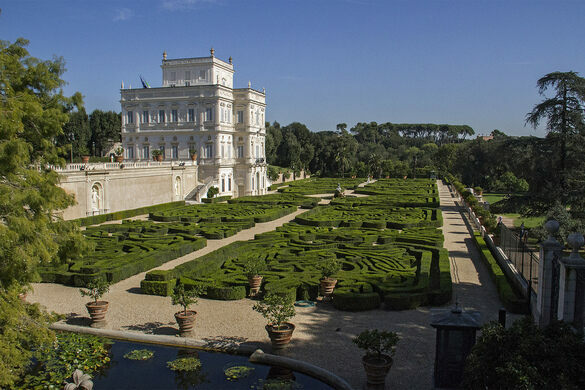 Built by the noble Roman Pamphili family in 1630, the Villa Doria Pamphili now represents a huge and beautiful park situated just outside the ancient walls of Rome. It is the second-largest public park in Rome after the regional park of the Ancient Appia. 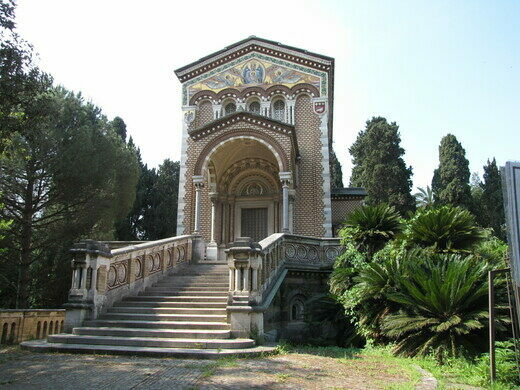 The central attraction of the park is undoubtedly the Casino del Bel Respiro (literally “small villa of good breath”). It is in baroque style, full of statues and ornaments. It overlooks a geometric secret garden, raised above the valley below, which contains a series of embellishments and curious architecture including statues, fountains, chapels, and Roman ruins. As you roam the grounds, do not miss the stream that, after a series of small waterfalls, flows over a pretty pond, framed by typical Mediterranean vegetation. There are also activities for those who wish to go for a jog or play polo in the beauty of this green lung of Rome.